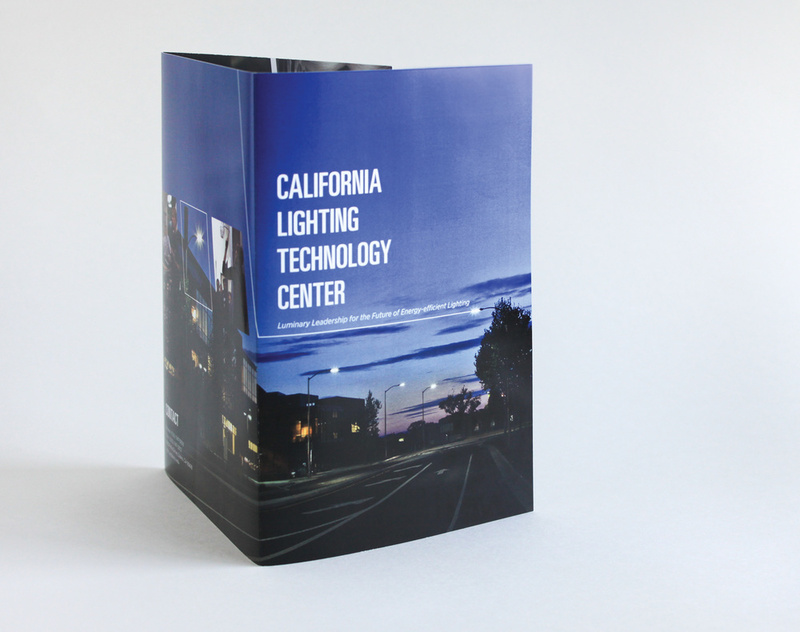 The California Lighting Technology Center (CLTC) is a not-for-profit research, development, and demonstration facility of the University of California, Davis. Advocating for the advancement of energy-efficient lighting and daylighting technology, the CLTC serves as a collaborative bridge between the private and the public sector, and continues to grow in its resources. 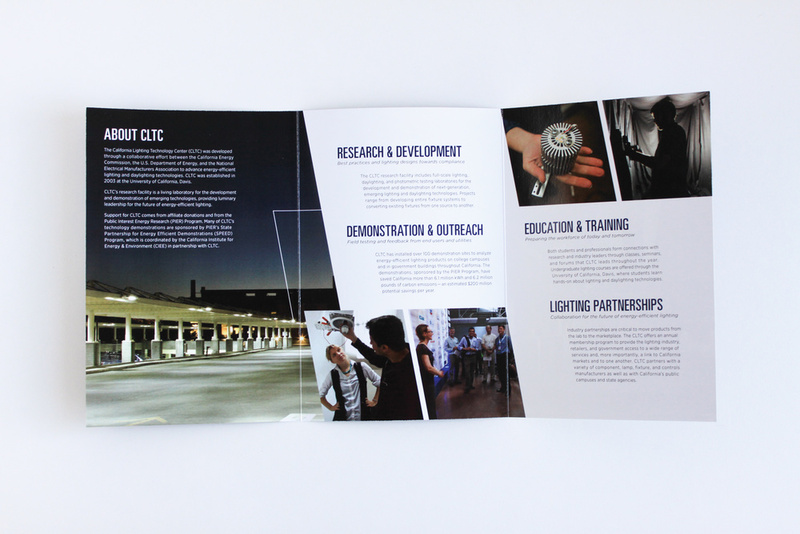 I designed the informative brochure as a general introduction to the CLTC and as a benchmark for the facility’s growth in the 10 years since its establishment. Reflecting the multi-dimensional quality of the CLTC, I utilized dynamic lines to draw focus through the content and images, with particular attention toward using feature photographs of projects as active invitations to the CLTC. 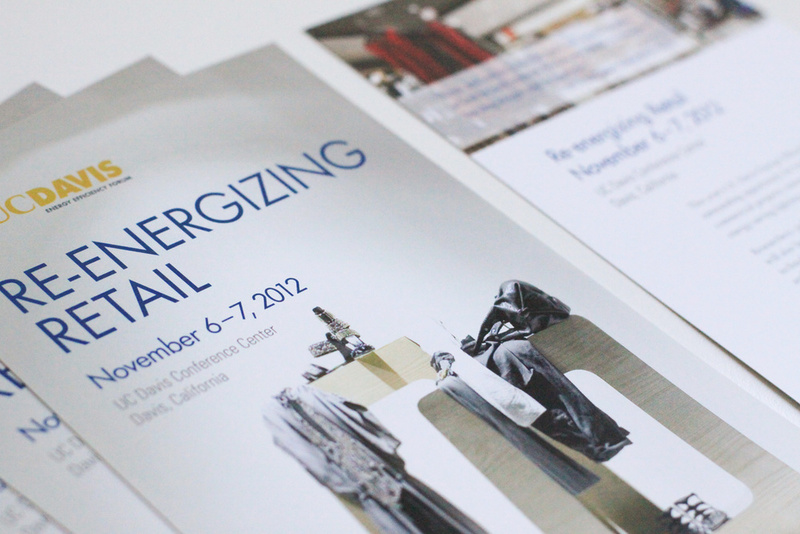 The Energy Forum is one of the many key resources the California Lighting Technology Center has to offer. 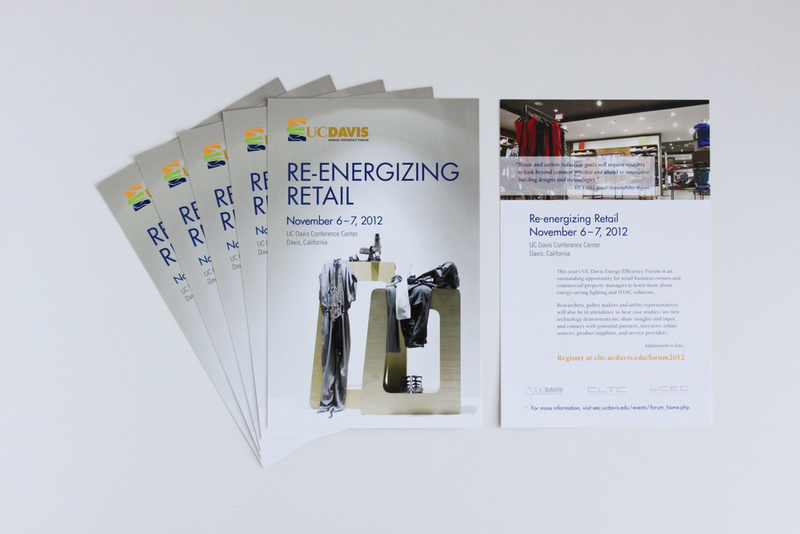 At the “Re-Energizing Retail” forum, the CLTC not only hosted demonstrations of better and more sustainable lighting practices for retail sites, but also provided an opportunity for those in the retail industry to network with lighting technology specialists and policy-makers. I designed the half-page flyer announcing the CLTC’s Energy Forum with a clean and straightforward aesthetic in order to provide a ready invitation to the event.